We are a team of dedicated and experienced criminal and traffic defense lawyers. Over the past three decades we have been successful in representing our clients through trial or negotiating a favorable plea deal on their behalf. No matter your case, we will provide you with guidance, advice, and the best possible defense. If you have been arrested in Carteret and have a scheduled appearance in Carteret Municipal Court please do not hesitate to reach out to us. We have someone available to answer your call 24 hours a day, seven days a week. In addition to fighting on your behalf we make it a priority to put your mind at ease. From start to finish our team will answer all of your questions and explain the process every step of the way. Why is my case in Carteret Municipal Court? 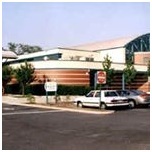 Like municipal courts throughout the state of New Jersey, Carteret Municipal Court handles all traffic violations that occur in Carteret. If you have been arrested for DWI or a disorderly persons offense your case will be tried in this court. A disorderly persons offense may include underage drinking, possession of less than 50 grams of marijuana, possession of drug paraphernalia, harassment, or shoplifting less than $200 worth of retail value, among other offenses. Although these offenses may seem minor to most, don’t let that fool you. A conviction for these offenses can result in hefty fines, a criminal record, and possibly time in the county jail. Finding good, proven legal representation is important. The lawyers of LS&P Lawyers will fight vigorously for your rights in court. If you need representation in the Carteret Municipal Court, call and speak to one of our experienced attorneys right away. We are located at 123 North Union Ave in Cranford, NJ 07016 and are available 24/7 for free consultation. Our phone number is 908-709-0500.